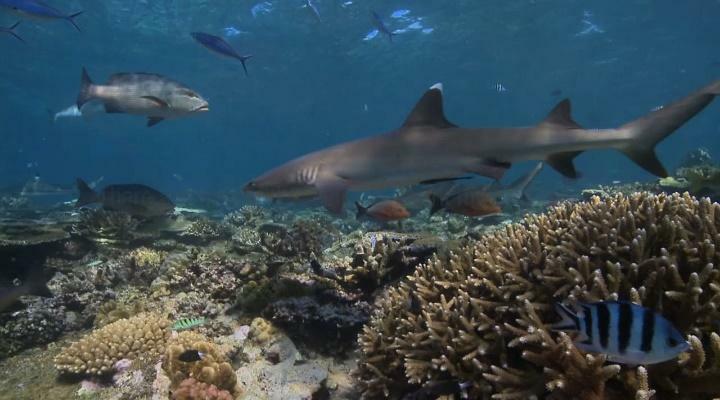 Working directly with the Fiji Shark Conservation & Awareness Project and two internationally renowned shark research scientists, volunteers will be directly involved in scientific shark research work. The volunteers and the conservation work are supervised by our resident marine biologist. We also work closely and share our data with other local and international marine conservation organisations, including the Coral Reef Alliance. Volunteers do not need any previous diving or shark research experience to take part in the Fiji Conservation Project. However, volunteers must be able to swim and be medically fit to scuba dive. This project is not available for people who do not want to take part in the diving. Volunteers who have not dived before receive the PADI Open Water dive course during their first two weeks on the project. Volunteers with an existing dive certification equivalent to the PADI Open Water qualification receive the PADI Advanced course. After their dive course, volunteers receive the PADI AWARE Shark Conservation Diver Course. This course has a theory component and a practical component, and it also includes a shark dive. All volunteers staying for four weeks or more complete the PADI Projects Abroad Survey Diver Distinctive Specialty Course. This is a PADI authorised specialty course which includes full training in underwater survey and research techniques. Those who already have the Advanced certification or higher will receive the PADI AWARE Shark Conservation Diver Course during their first week, as well as the PADI Projects Abroad Survey Diver Distinctive Specialty Course, and an extra Shark Feed Dive during their project time. Volunteers work five days a week and the weekly schedule usually involves 3 days on the water/diving and 2 days of land-based work. A typical working day will run from 7am to 4pm. However, depending on the activities volunteers may be required to start earlier or finish later or even work over the weekend. Trained local staff are on hand to supervise activities and provide support.